One reason for design documents is that they create a bridge between what our clients want and our tradesman that build the project. Design documents create a common language for the project. In the process of creating the design documents, our clients have an active role by discussing their requirements and making material selections. 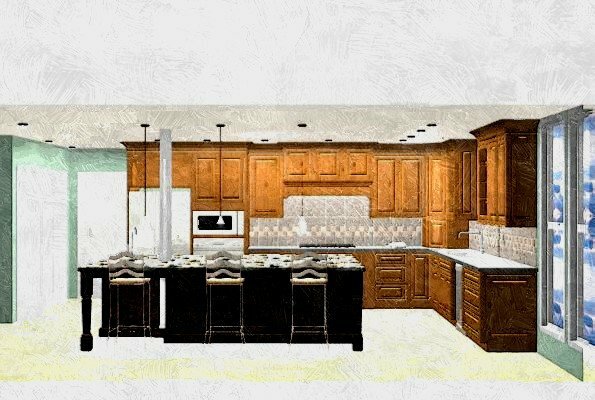 Once the design is complete, our clients have a visual representation of their completed project that helps them feel comfortable with their purchasing decision. During the construction phase of the project, the drawings and specifications become the road map for the tradesmen. Everyone is on the same page. The project has a common language. What differentiates kitchen and bathroom projects from other projects is the level of complexity. The plumbing, electrical, cabinetry all have to come together within tight tolerances or extra costs may be incurred. Space is often at a premium in these rooms and homeowners are always asking how we can deliver more storage space – making the need to make sure everything fits correctly even more critical. Oh, and it has to look great. Good designs lead to great kitchens and bathrooms.